Travel to Russia,Russian Tours and Holidays, Transsiberian Rail Tours, Volga River Cruises. 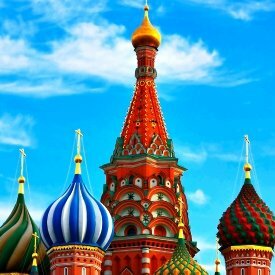 Go to Russia with East West Tours! 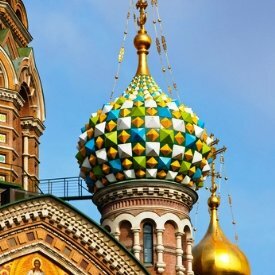 Book one of our "visa-free" St. Petersburg programs by scheduled ferries from Stockholm and Helsinki. 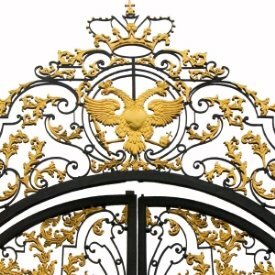 Enjoy everything that Venice of the North has to offer - beautiful parks, palaces, museums, historical and architectural landmarks. In the evening - enjoy ballet performance or Russian folkshow at the Nikolayevsky Palace. Ten guaranteed departures May thru October. Maximum 20 participants. Comprehensive itineraries including all major landmarks and museums. Optional opera, ballet and circus tickets, river mini cruises and other attractions are available to enhance your experience. Moscow, St.Petersburg and Golden Ring tours, escorted group and private custom itineraries, shore excursions, train tours and Volga River cruises . Russian visas, train and domestic air tickets - your one stop for Russian travel needs. For cruise passengers - we offer private sightseeing tours in Moscow, St. Petersburg, Odessa, Yalta, Sevastopol and Tallinn. Our knowledgeable guides will help you see the most during your short stay and tailor your tour according to your time, interests and budget. We are dedicated to create a meaningful experience for your students that goes beyond seeing the sights and provide opportunities for active engagement in local life and culture like visits to schools, hospitals and businesses. A variety of escorted small group tours and private itineraries to Estonia, Latvia and Lithuania. These charming Baltic countries, rich with history, culture and traditions,can be explored on its own or as add-ons to our Russia and Scandinavia programs. A journey on the legendary Tran Siberian Railroad is one of the last great travel adventures in our world. Set this dream of a lifetime on the tracks of the train and experience Russia, Mongolia and China in the safest, most comfortable and fascinating manner. 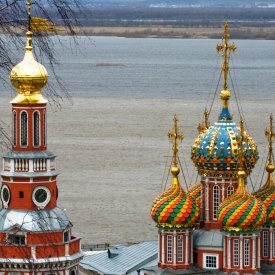 While you're in Russia, a cruise down its greatest rivers can be a perfect opportunity for you to better understand the Russian soul world-known for its mysteriousness. A Russian river cruise is not a simple trip from one point to another - it's an unforgettable experience that will remain in your memory for all your life. Russian Winter Festival is a huge event running from mid-December to mid-January. The Festival coincides with major international and Russian holidays: Christmas, New Year's Eve, Russian Christmas and Russian New Year and all festivities celebrate Russian culture and traditions. All major parks and squares host folk song and dance performances, games, crafts and food fairs, ice sculpture competitions and troika rides. GO TO RUSSIA FOR YOUR NEXT HOLIDAYS! RUSSIAN HOLIDAYS FOR ALL BUDGETS! Since opening its doors to foreigners more than 20 years ago, travel to Russia and Russian tourism have been evolving and today it is a premier destination for travelers worldwide. Spanning 9 time zones and twice the size of the United States, Russia offers its visitors an unforgettable glimpse of its history, culture and nature. Today’s Russia is more accessible than ever yet the mystery remains and attracts thousands of tourists every year. 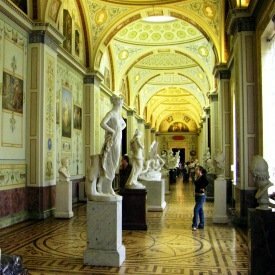 They come to admire art at the Hermitage Museum and explore the Red square and Kremlin, travel by train through Siberia and hike by Lake Baikal, cruise down the Volga River and climb Elbrus Mountain. The possibilities are endless; no matter what your interest are you won’t be disappointed. 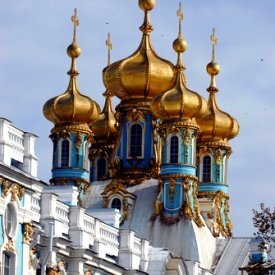 For more information on Tours to Russia please call us toll free: 1.800.776.3341 or contact us online. East West Tours is a travel agency specializing in Russia tourism and travel to Russia, Russian tours, Volga river cruises, and Trans-Siberian Train tours. Our team of experienced travel agents will help guide you to plan your trip to Russia. Our unique tours offer a wide variety of sightseeing opportunities, from visiting Red Square and the Kremlin, to drifting down the Volga River or traveling via train from Moscow to Beijing or Vladivostok. However you choose to explore, your Russian travel experience with East West Tours operator is bound to be an unforgettable one. Visit our testimonials page to read what our happy customers have to say about us! 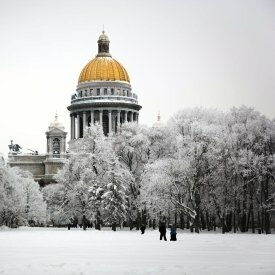 Our Russian tour operator will introduce you to the most unique and noteworthy parts of Moscow, St. Petersburg, and neighboring cities. Exciting Russia city tours are included in all programs with spectacular views of Russia’s finest and most sought after tourist attractions. We offer walking tours, boat and ferry rides, shuttle bus tours, river cruises, train tours, overnight stays in four and five star hotels, and all other services that you might need to get ready for your trip. We effortlessly help you obtain your Russian visa and offer Russian packages to please travelers of all ages. We will guide you through each step in preparing for your trip to ensure you’ve selected the best options to suit your needs and make the most out of your Russian journey. Helpful, English speaking guides will accompany you on all excursions in Russia, making your trip fun, educational, and completely hassle-free as they are there to lend a hand and ensure your visit to Russia is a pleasant one. East West Tours offers Russian tour packages that allow you to explore magnificent Moscow and St. Petersburg, the beautiful Baltic countries, and every noteworthy spot in between. Visit the spectacular Moscow Metro, Red Square and the Kremlin, St. Isaac’s Cathedral, the Hermitage Museum, Peter-and-Paul Fortress, the colorful St. Basil’s Cathedral, Tretyakov Gallery, Peterhof Palace with its famous park and fountains, the stunning Spilled Blood Church, and much, much more. Our luxurious Volga river cruises feature high class amenities on board, from spectacular restaurants and bars, to soothing saunas, souvenir shops, fitness rooms, and land tours bringing you to the most awe-inspiring spots in Russia. Travel to St. Petersburg visa free on one of our exciting ferry cruises and explore the beauty of St. Petersburg on a guided bus tour or on foot at your own pace. Prefer to travel by train? 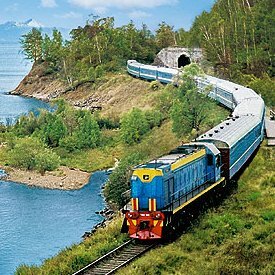 We have a number of Trans-Siberian Railway tours that bring you through Russia, Mongolia, and China in the safest, most comfortable, and captivating ways. One of the most fascinating train systems in the world and spanning an impressive seven time zones, a trip on the famous Trans-Siberian Railway is a once in a lifetime journey you’ll never forget. There are endless ways to visit this breathtaking country, and the experienced travel agents in our office are here to help you decide which option works best for you. Give us a call, we can’t wait to work with you!